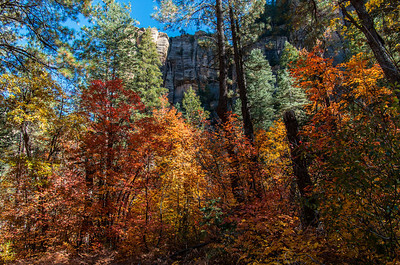 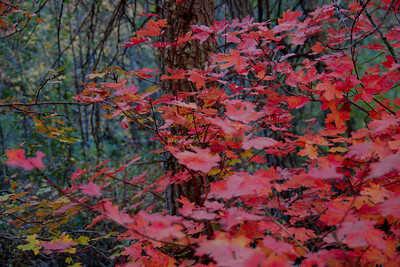 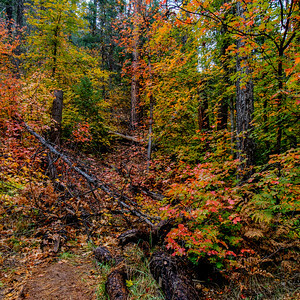 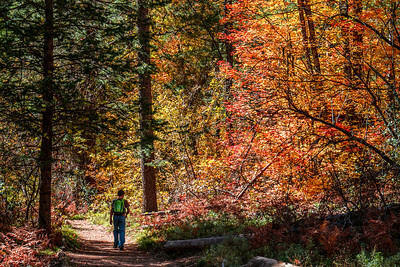 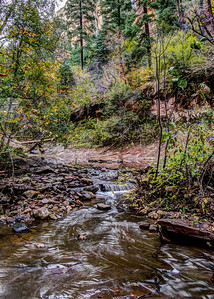 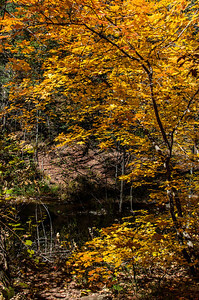 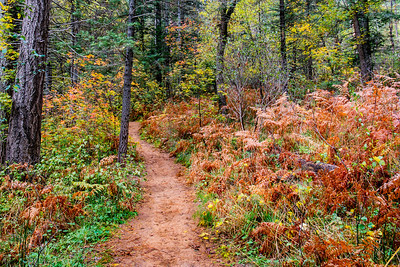 Fall colors along West Fork Oak Creek - October 21, 2013. 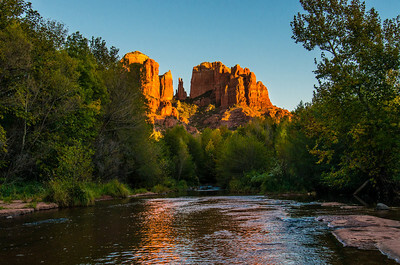 Cathedral Rock viewed from Red Rock Crossing - October 21, 2013. 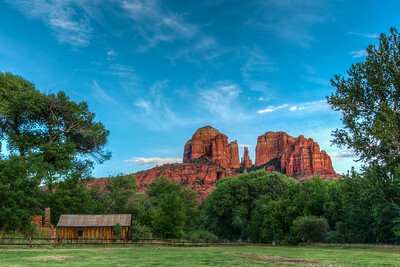 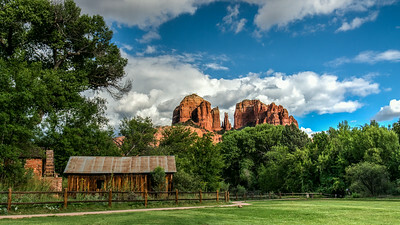 Cathedral Rock viewed from the Crescent Moon Picnic Area - August 13, 2014. 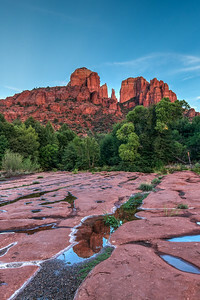 Cathedral Rock illuminated by the setting sun is reflected in a pool of water from a recent rain. 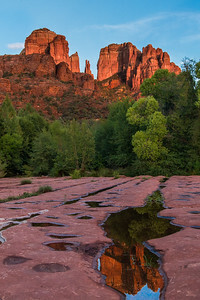 Cathedral Rock just after sunset - August 13, 2014. 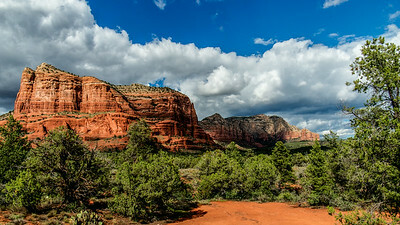 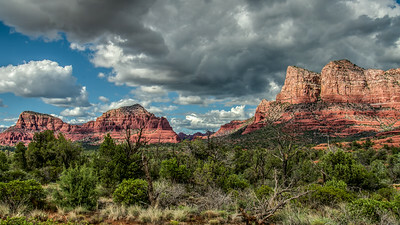 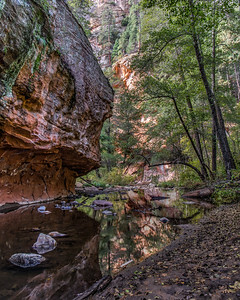 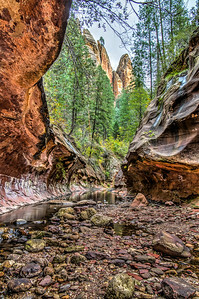 Sedona AZ area - August 22, 2014. 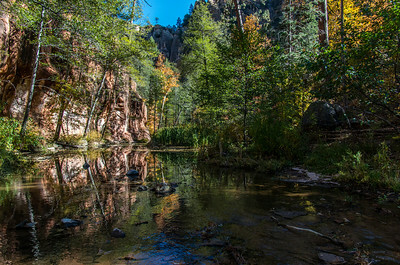 Water wheel at the Crescent Moon Picnic Area. 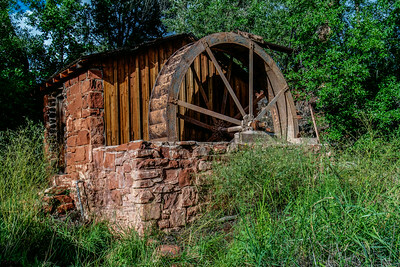 The wheel used to pump water and generate electricity for the Crescent Moon Ranch August 22, 2014. 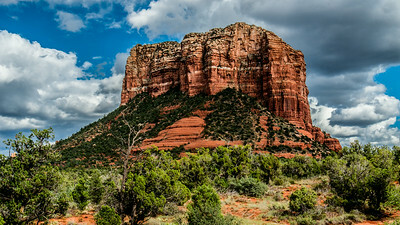 Cathedral Rock viewed from the Crescent Moon Picnic Area - August 22, 2014. 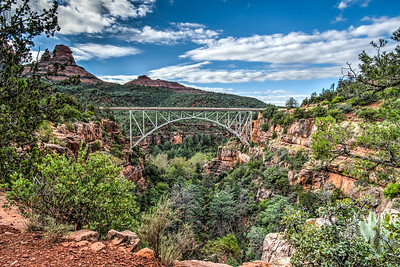 Arizona State Route 89A bridge over the West Fork of Oak Creek.